“It’s always extremely important to deliver what is promised to our clients,” Jimmy attests. His clients are always impressed with his natural tendencies to follow up and follow through on the refinance process. His coworkers call him diligent and hardworking. He is friendly and enjoys being professional while also getting to know people on a bit of a personal level that builds respect and trust. Good Will Hunting is a book that Jimmy recommends and you may find him reading it on the beaches of Southern Florida, his favorite vacation spot. On weekends, Jimmy enjoys golfing with friends and family. 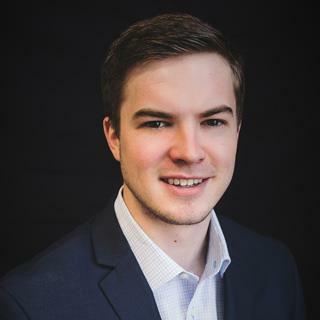 Born and raised in Chicago, Jimmy majored in financial planning with a minor in business administration from the University of Illinois at Urbana-Champaign. This is the easiest refinance I have ever done. Jimmy Webber at EClick was professional and responsive. He also worked with us to get the best available rate. I would definitely use them again. Jimmy Webber was very helpful and quick to get back to us with any questions or concerns. We got a very good rate compared to other lenders we looked into. Loan closed very fast and without trouble. Jimmy was able to work with us to remove the PMI, which was our main reason for refinancing. To get a lower rate was an awesome bonus! We were so excited that our refinance was completed so easily. James Webber was our loan officer, who was so patient and responsive. Actually, he has done most of this entire process. James always gave us a status update. It makes a worry-free procedure. We fully recommend Mr. Webber to those looking for the best loan officer for their mortgage refinance. My 5/1 ARM was in the fifth year. I was worried the interest rate would go up soon, so I was looking to refinance my mortgage. Jimmy Webber was very responsive to my case. As my husband and I are self-employed, our tax forms are a bit more complicated than those of most people with W2. He was able to read through these forms and found the best solution for us. Thank you so much, Jimmy! Our loan officer, Jimmy Webber, looked at our information and found a program that would best meet my family's needs. Jimmy was sincere, looking out for our best interest and made the whole process effortless; he explained everything up front and during a time when my husband and I had a lot on our plates. Jimmy really helped us out. We did not have to step foot in an office from start to finish, the closing took place in our home! I could not asked for a better experience. I used to be a whole sale mortgage closer, and I have seen a lot of loan officers make false promises to borrower(s) before knowing all the facts and needs of the borrower(s), and not being able to deliver what was "promised." When we decided we would refinance, we spoke with about 20 potential lenders. Most were pushy and had the trust-level of used car salesman. We decided on Jimmy Webber (Senior Loan Officer at eClick Lending) because he was extremely knowledgeable – without being arrogant, he was trustworthy and patient, and he communicated well and regularly. Throughout the refinancing process, we felt completely confident that not only would everything go smoothly, but that we had chosen the right person to help us and that gave us an extraordinary amount of peace of mind during a time that had the potential of being stressful. There are few professionals that cross your path that deserve a ten out of ten, in terms of ratings – and Jimmy Webber certainly does. We are grateful for his help. Again – thanks again and please let Jimmy know of our gratitude. When we decided we would refinance, we spoke with about 20 potential lenders. Most were pushy and had the trust-level of used car salesman. We decided on Jimmy Webber (Senior Loan Officer at eClick Lending) because he was extremely knowledgeable – without being arrogant, he was trustworthy and patient, and he communicated well and regularly. Throughout he refinancing process, we felt completely confident that not only would everything go smoothly, but that we had chosen the right person to help us º and that gave us an extraordinary amount of peace of mind during a time that had the potential of being stressful. There are few professionals that cross your path that deserve a ten out of ten, in terms of ratings – and JimmyWebber certainly does. We are grateful for his help. Ready to apply? James is ready to help! Click the button below to apply online now.